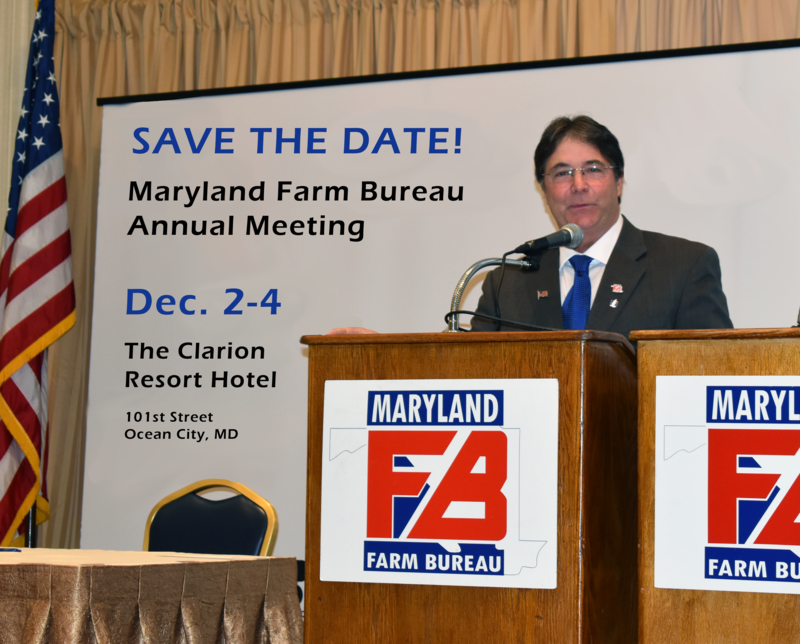 The Maryland Farm Bureau’s 2018 annual meeting is scheduled for Sunday, December 2nd through Tuesday, December 4th at the Clarion Fontainebleau Hotel in Ocean City. You are cordially invited to register for the convention and participate in the many discussions, debates and social activities that are planned. Attached please find the tentative meeting agenda and a registration form. The convention will include an impressive array of exhibits from businesses, associations and government agencies involved with the farm community in Maryland. We will convene our delegates for formal business on Monday and Tuesday. Our annual awards banquet and fundraising live auction will be held on Monday evening. The registration deadline is Thursday, October 25, 2018. Full payment is due with the reservation form. Maryland Farm Bureau gladly accepts Visa or MasterCard. If you have any questions, please call Cathy Kaptain or Lisa Storm at (410) 922-3426. Visit www.mdfarmbureau.com/convention/ for more information.